Nagoya, Japan. It is the largest city on the Chubu region of Central Japan. 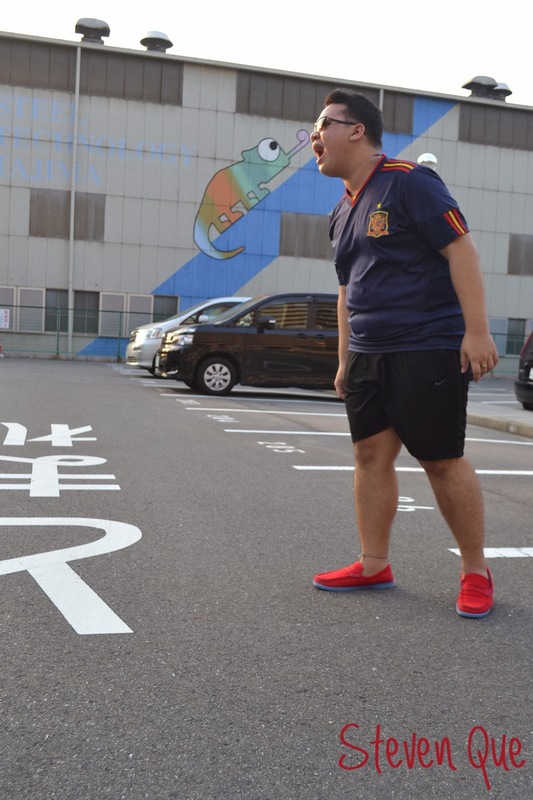 It is the third largest city in the country and the fourth most populous city after Tokyo, Yokohama, and Osaka. Though very populous, the city's quiet and laid back attitude draws much visitors such as yours truly! 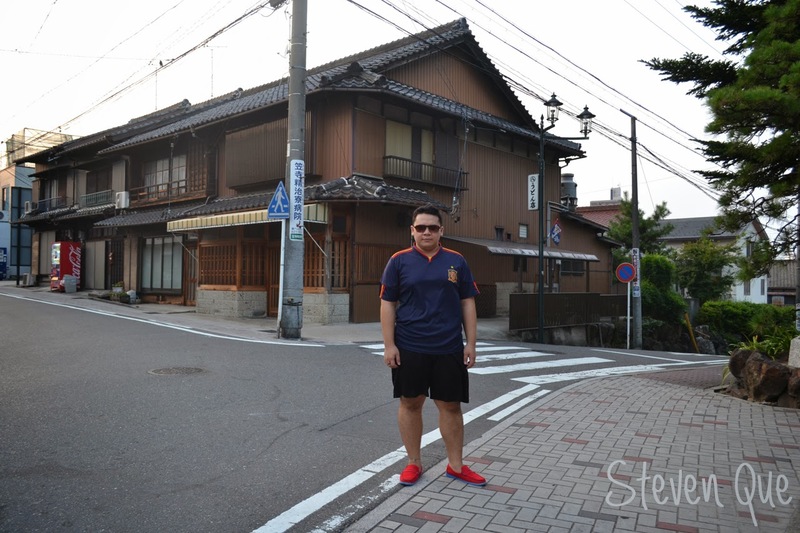 It is also home to my family in Japan, the Hayashi's which welcomed me with both hands and homed me during my whole stay in the beautiful land of the rising sun! I dedicate this post to them, to my dear Ate Minneth who was the main reason why I had the beautiful chance to visit Japan, who cooked all those delicious meals and gave me all those laughs as we chatted and talked all the time till midnight! To Kuya Rin Hayashi who has been so kind to drive us anywhere and gave us laughs as well! 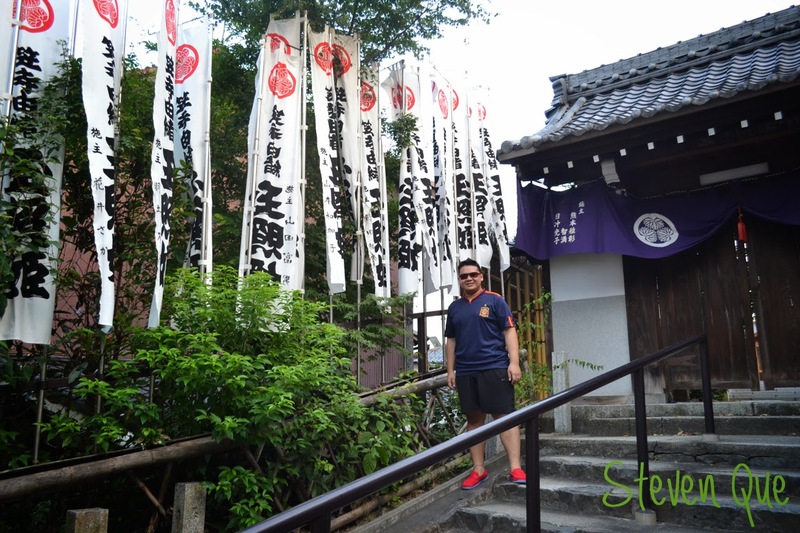 To Hiro and Franzen and to Ate Zeny who were with me there as I unveil the beauty of Japan. I arrived in Osaka, Japan at the eve of August 13, 2013 with Ate Zeny, the mother of Ate Minneth who will be my host and my family during my stay in Japan! The Kansai Airport was huge and amazing with its beautiful structure and its modern facility, it will really amaze you on your very first landing at that airport. We then drove almost 5 hours to Nagoya, my Home in Japan for the next couple of weeks. When we had a stop at a Family Mart the night, I had a chance to savor my very first hours in Japan. It was amazing. the streets were so quiet and clean. I believe we were in the mountains but it was really nice and I felt quite emotional just as always when I arrive to a new country, thanking God for that chance, for that very moment, for that blessing to be somewhere far from home and explore the beauty of his creation, beyond my own world. We had so many places visited but I will start with our very first day. After having lunch at Sugakiya, we went to Kuya Rin's place to fetch some things to bring and that's where I got this cool photo of this Chameleon Mural! Ate Minneth directed this shot as if it was licking my nose! Hahahaha Ate Minneth is such a funny lady and when we are together we both are crazy people! We then went to a nearby Temple. 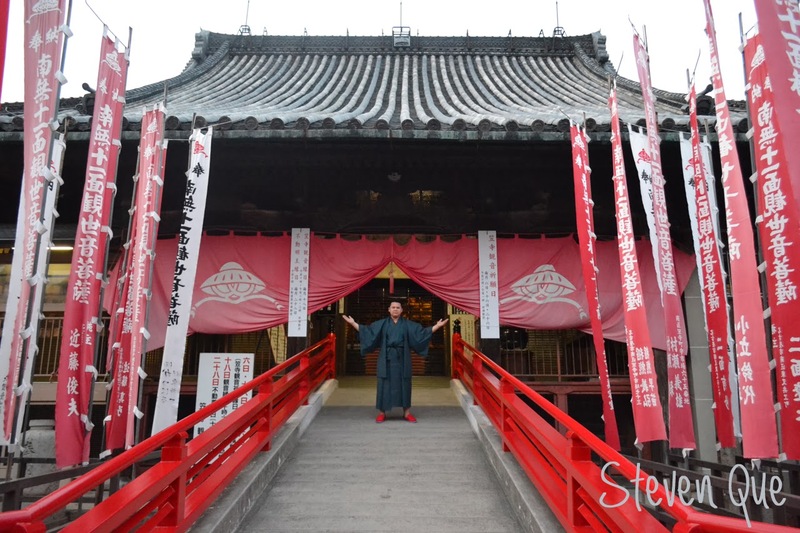 If it is a Buddhist Temple, it's called a Temple but for the Shintos, they are called Shrines. In front of the Temple was this beautiful zen inspired building laid with beautiful flags. I was not sure if that was a Shrine or a Temple but the flags here in the photo below is different from the ones at the Temple in front of it. 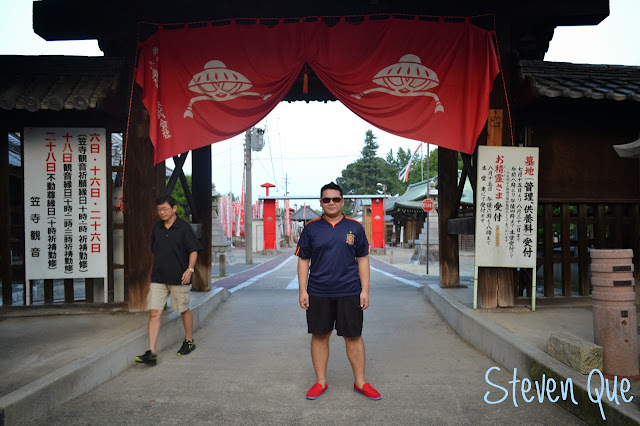 Me looking sporty at the gates of Kasadera Kannon Temple. I look slim on this one! According to wiki, The Kasadera Kannon Temple was established by the Shingon sect. The temple has a Niomon entrance gate, a number of small subsidiary temples and a pagoda which is two storeys high. I got the chance to see these structures and it feels really peaceful while I was on the temple outskirts. You can really see the relationship of buddhism with nature as everything is lush and the winds give it a very spiritual feel all around the place. We took so many pictures while I was wearing the Yukata that we got from the store near Kariya City. Ate Minneth was directing all the shots and I really enjoyed the experience because I both love pictures and there is just this unexplainable peace while I was in the Kannon. It was a summer afternoon but it felt really mild and calm with these soft breeze blowing around the Temple grounds. 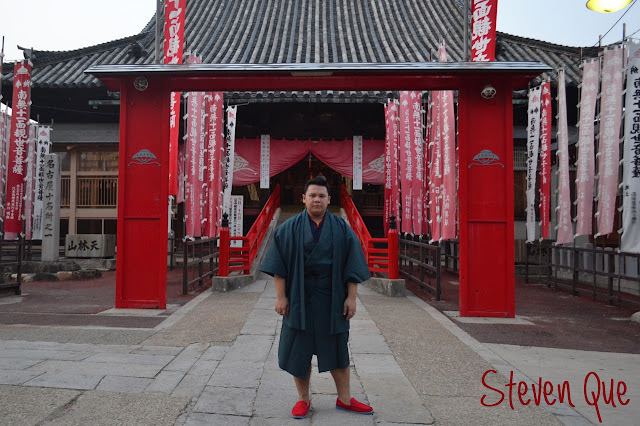 Me on my Green winter Yukata and my "Kung Fu" shoes as Kuya Rin calls it! It was definitely a very good first day and as we went to a spiritual place such as the Kasadera Kannon, it was kind of a blessing for me to be there as the whole 13 days that I was in the land of the rising sun, each and every day was glorious, peaceful, calm and truly nurturing not just to my system but to the mind as well. I can't wait to tell more about my Japanese experience! Japan will always be a special memory but on my very first day in the country, up until the next days, I remembered the very big wish I had. That wish was that this trip may not be my last to Japan and that someday I shall set foot to this beautiful country again.